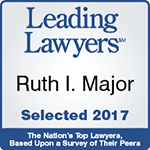 The Law Offices of Ruth I. 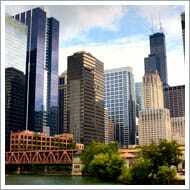 Major, PC, serves an exclusive clientele of sophisticated executives and professionals throughout the Chicago area. The firm's clients seek legal advice regarding their most sensitive and confidential business dealings such as their employment contracts and their rights with respect to their employers, past, present and future. As a Chicago attorney, Ms. Major understands that, while Chicago is the quintessential big city, it also retains an idiosyncratically small business community. As a member of this community herself, Ms. Major understands the premium placed upon one's relationships and reputation. Her firm accordingly designs its advice to its clients with this real-world context in mind. There is no simplistic scorched-earth strategy for the sake of having a scorched earth. Instead, Ms. Major evaluates each client's circumstances on an individual basis and tailors her guidance in order to maintain long-term relationships while still achieving both short- and long-term goals. In providing these services to the firm's clients, Ms. Major looks to change the larger picture in Chicago business from one in which only employers have legal counsel to one in which her executives and professionals also receive legal counsel regarding their business decisions. This balanced playing field benefits the business community at large. Her clients also learn that they are entitled to legal advice just as much as their employers are. For a discreet and confidential meeting with Ms. Major to discuss your own private business questions, call her office at 312-893-7544. You can also schedule an initial consultation by contacting the firm online.